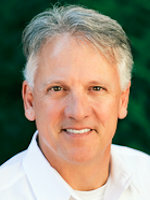 Mark LaLiberte, a founding partner and President of Construction Instruction, devotes his time educating the building industry on the benefits of constructing durable, energy efficient and healthier homes through lectures, video series and publications. Mark speaks nationwide to over 8,000 people annually, offering consulting and training sessions for building professionals, architects and major manufacturers. By performing on-site visits of builder’s homes, he is able to identify risks and opportunities for contractors from an independent perspective. Mark has had the opportunity to take his expertise overseas, speaking to The Polish-American Builders Association in various cities in Poland through The Department of Agriculture and at The International Housing Fair in Tokyo, Japan through the Trade Office.